Yo yo yo! Listen up! Hemp seeds are high in protein. They contain essential fatty acids, including omega-3 and omega-6. Snack 'em if you got 'em. While he may not be as edgy or famous as his Cannabis cousins, Hemp Seed is just as good at making "special" snacks, including brownies, pizza kale chips, smoothies, and pancakes! P.S. 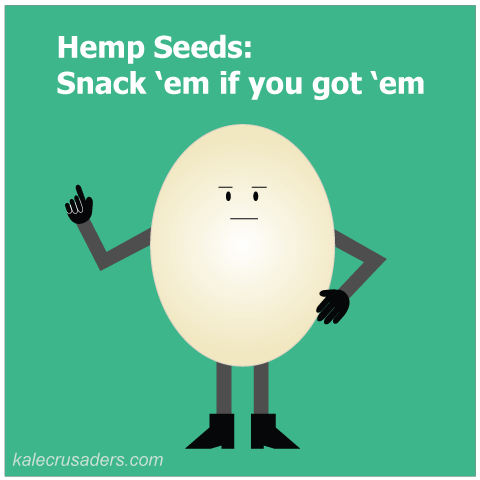 Initially the producers wanted Hemp Seed to throw in another "yo" after "Snack 'em if you got 'em," but Hemp Seed refused on the grounds that it was classless and detracted from the message. Go figure. 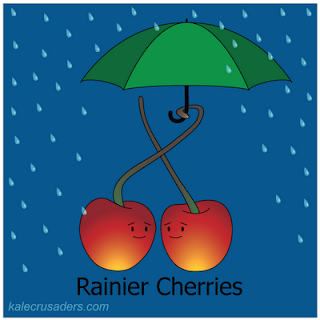 Rainier Cherries are for (stone fruit) lovers. Sharing is caring, so show someone how much you care by sharing a slice of White Peach and Rainier Cherry Cobbler, a jar of Rainier Cherry and Wild Sage Jam, or a tall glass of Rainier Cherry Mojito. You and your friends won't be sorry. We took a brief hiatus from our coverage of trendy seasonal eats, but we are back and excited to introduce you to Garlic Scape. An artist at heart, Ms. Scape doesn't like to discuss her role as Miss June in the Foodie Beauties Calendar. 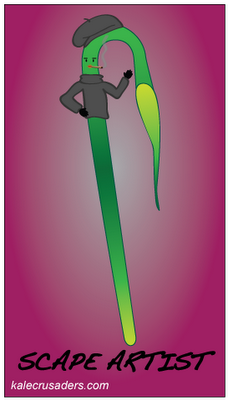 Garlic Scape wants to be recognized for more than her youthful stalk, mild garlic flavor, and ephemeral nature. She's a poet, bedazzler, and lead actress in Off-Off-Broadway performances of Garlic Scape Pesto, Garlic Scape Stir Fry, and Garlic Scapes Roasted with Chickpeas and Sun-dried Tomatoes. 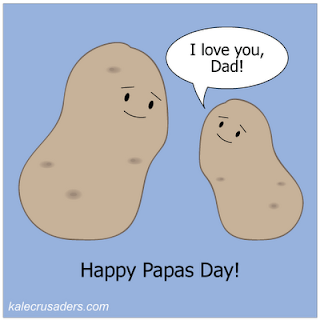 Happy (early) Father's Day to our Kale Crusader Dads! 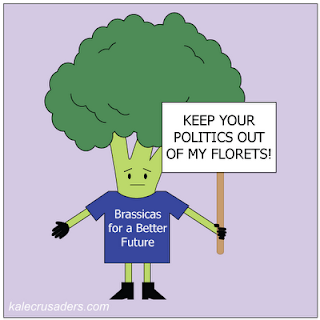 The Kale Crusaders are never ones to turn down a party, especially when we can celebrate our favorite papas (and perhaps America's favorite vegetable). 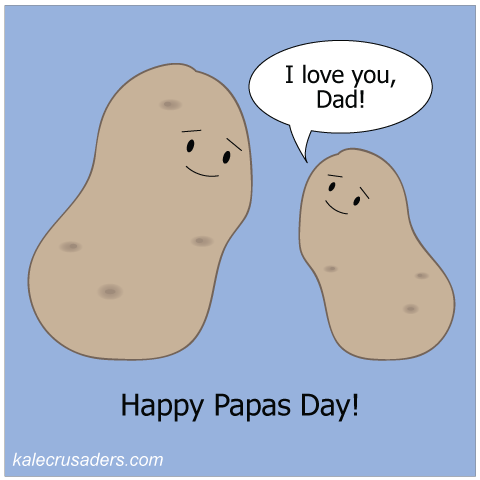 If you're up for the challenge of partying with your papas this weekend, why not participate by gorging yourselves on papas rellenas, tortilla de patatas, curried potato salad, and chocolate chip cookie potadough dip? Buckwheatie is a three-time winner of the TastyBowl championships. He played for a different team each time, taking on different positions to supplement his fellow foodstuffs. Buckwheatie made the 2011 all-star team for his role in cereal and pancakes. During his rise to fame, he made several appearances on the TV dinner circuit, where he was deliciously tossed with pasta and served as a base for a noodle dish. But at his heart, Buckwheatie is a sweetie, making an all-time favorite appearance in buckwheat pudding! The 90's are back and so are the rapper-inspired haikus! P.S. 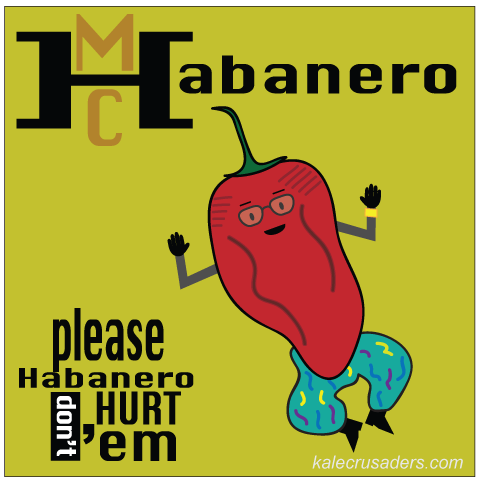 Here is a fun fact of the day: the single "U Can't Touch This" is from MC Hammer's "Please Hammer Don't Hurt 'em" album. P.P.S. Check out previous rapper haikus for Notorious F.I.G. and Fava Flav. 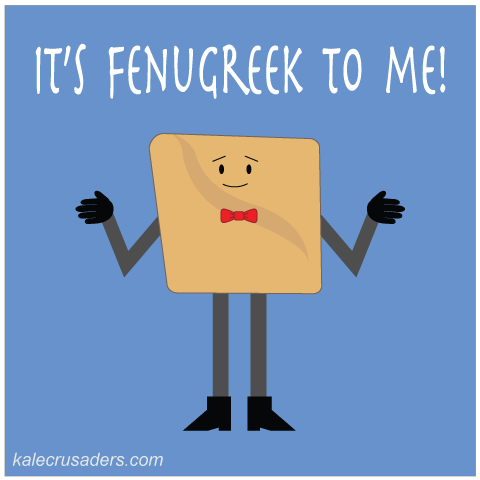 Word on the street is that Fenugreek may have medicinal superpowers! 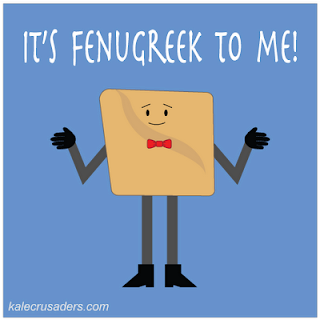 Regardless of his effects on sugar absorption, we think Fenugreek is tasty with potatoes, pickles, and doro wat!?! 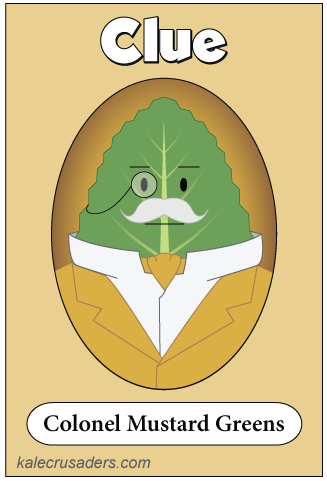 It was Colonel Mustard Greens. In the kitchen. With a...deep fryer? Luckily, before his chlorophyll-driven rage, he managed to prepare a few snacks: edamame tofu soup, smokey greens, and a stew with flatbread. P.S. Interested in Kale Crusaders playing cards? Collect them all!